Speaking during the MLA priority meeting at state Secretariat here today Mr Singha said that apple should be brought under special category state to protect the interest of apple grower of Himachal Pradesh and other hill state as they could not compete with the import duty free regime of foreign apple. Speaking on priority of Theog Assembly constituency Mr Singha stressed upon micro level planning taking into consideration the socio-economic aspect. He said that the State would progress only when economy of the farmers was strengthened. Since horticulture and agriculture play a vital role in improving the economy of people and Theog assembly constituency which he represents was known for production of vegetable whether it is seasonal or off seasonal. 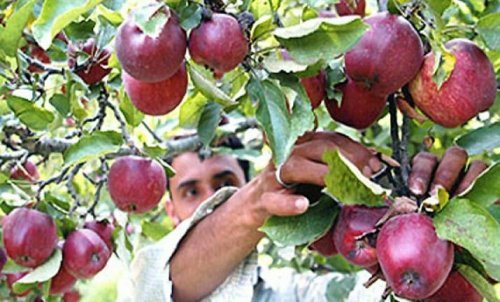 He said that under Regional Comprehensive Economic Partnership (RCEP), it has been learnt that the apple import was being made duty free and urged the Chief Minister to take up the matter with Union Government or get Himachali apple in special category and be excluded from this. The fruits including apple from other countries have long shelf life and we need to focus on the latest root stock instead of adopting colonial practices. He also advocated for setting up more cold storage to benefit the farmers as private players they purchase the produce on running market price and store them in Controlled Atmosphere Stores to sell when the prices are high. He said that we also have to adopt the jack-well system, a conventional lift water supply schemes. He also urged for constructing sectoral water tanks of capacity as much as one lakh liters. He also urged bus stand at Theog.